Students were instructed in how to safely use and maintain the pens, before tracing 2D patterns. 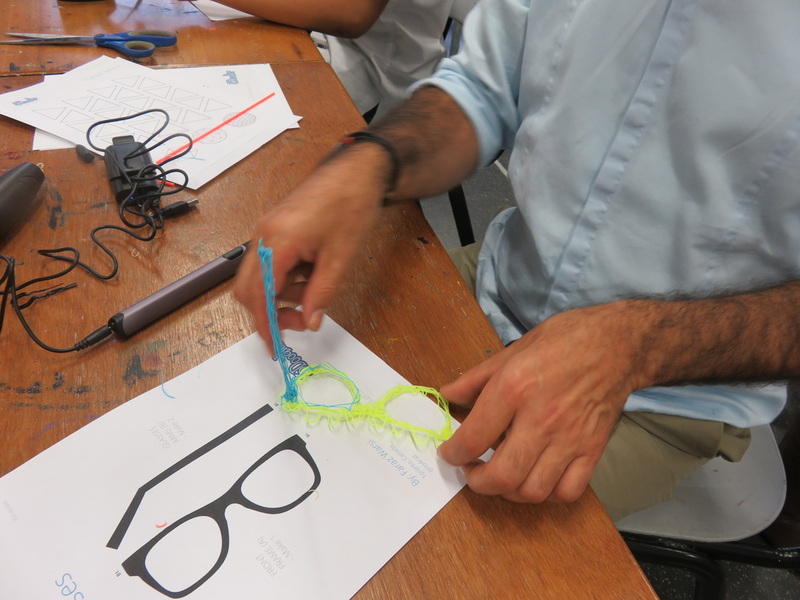 Visual Artist Graham Hay was invited to Perth Modern School to give a workshop on the emerging 3D printing and 3D drawing technology. 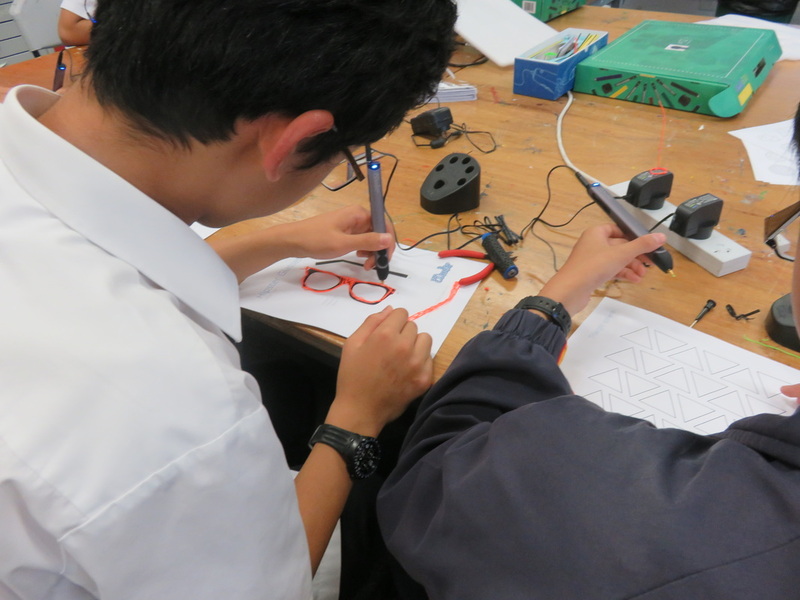 The workshop was held during the school's annual Art and Technology week, and was attended by students and staff. Graham illustrated how the cheapest 3D Printers had plummeted in price from $15,000 in 2010 to less than $1000 today, enabling artists like himself to start experimenting creatively with this new technology. 3D printing has been used to print in Stirling silver, stainless steel, bronze, as well as many types of plastic. It is fast becoming a way for artists to earn a royalty for their designs which anyone can order online to have it printed and posted to them. 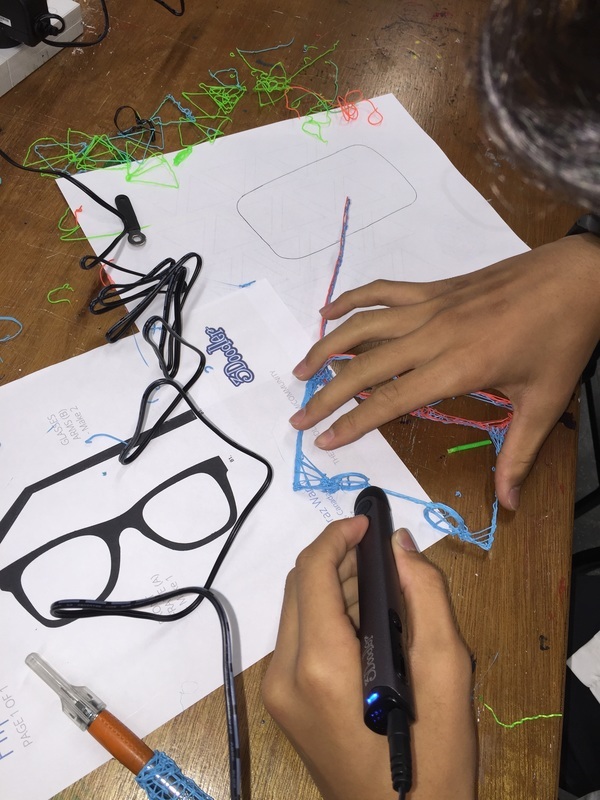 Students were encouraged to later download the free Google Sketchup software to learn how to design their own objects to be printed. They may like to have their 3D designs printed out and mailed to them from Shapeways and ponoko. Workshop participant welding draw parts together. A few years ago, during a residency at Central Perth TAFE, Graham assembled a kite / flatpack 3D Printer, and then after networking with artists in the UK, Australia and Italy, hacked it so it printed soft clay. The 3D pen has the print head of a printer inside it, and requires no computer or programming to use. As such it is a quick and inexpensive way to introduce students to the emerging technology and how it works. Graham anticipates that future 3D Printers will print in a similar way the pen works, rather than slowly printing layer upon layer, as they do now. 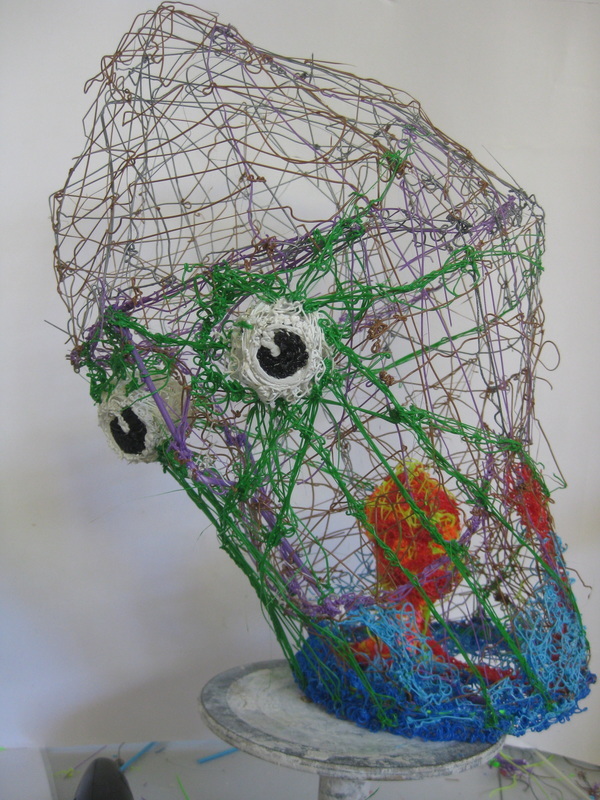 An early work created by Graham Hay using a 3D pen (2014). 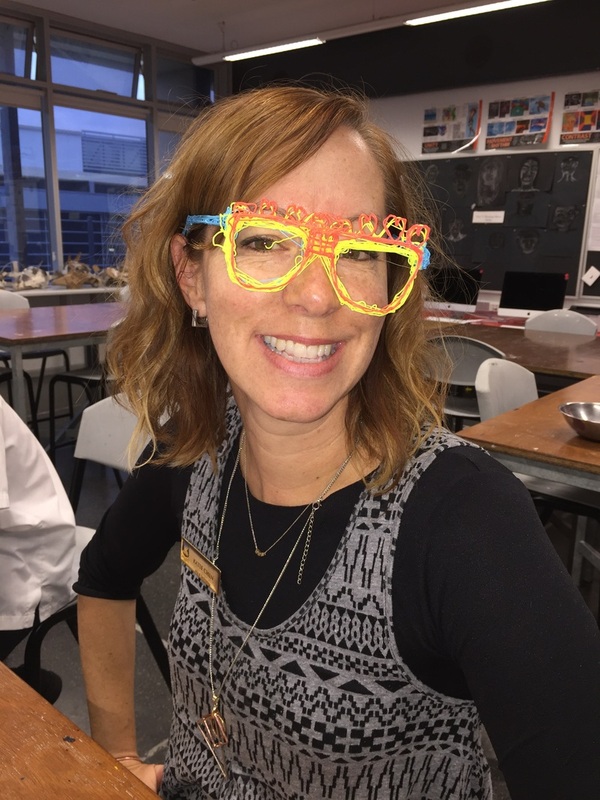 ​Within a short period, students mastered the technique and then begun to modify the glasses design. Even some of the teachers got into the fun! Contact me if interested in a school visit. Interested in attending a workshop (adults only).